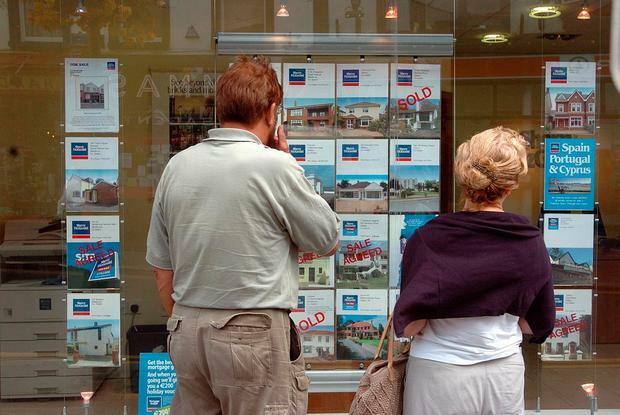 Fewer houses are being bought as property prices continue to rise. Prices rose by 8.2pc nationally in the year to September, but the rises in Dublin have continued to ease off. Economists said the surge in prices in the past few years and Central Bank lending limits are taking the steam out of the market, and making properties unaffordable for many. The latest figures from the Central Statistics Office (CSO) show a drop in the number of property transactions. The CSO said 3,821 property transactions went through in September, down almost 300 from two months previously. Dublin recorded the lowest level of price growth for almost two years. Prices rose by 6pc in the capital, the CSO said. The strongest price rises were in the mid-west region, with prices increasing by 21pc in the last year. The Border region showed the least price growth, with prices increasing by 5.8pc. When it comes to Dublin, the largest increases were in Dún Laoghaire-Rathdown with price growth at 8.3pc. The median, or middle, price for a property nationwide at the moment is €255,000, up €5,000 in the last month. Dublin has the highest median price at €364,998, while Dún Laoghaire-Rathdown had the highest median price at €532,000 of the four Dublin administrative areas. Outside Dublin, the mid-east has the highest median price at €267,499. The Border region recorded the lowest median price at €120,000. Economist at Davy Stockbrokers Conall MacCoille said prices were continuing to rise despite the uncertainties posed by Brexit. Meanwhile, householders have been warned to review their house insurance cover. The rebuild cost of a house nationally has risen by 5.5pc in the past year, according to the Society of Chartered Surveyors Ireland. The average minimum rebuilding costs for a standard 1,000 sq ft three-bedroom semi-detached house is €227,400 in Dublin, and €182,400 in Cork.